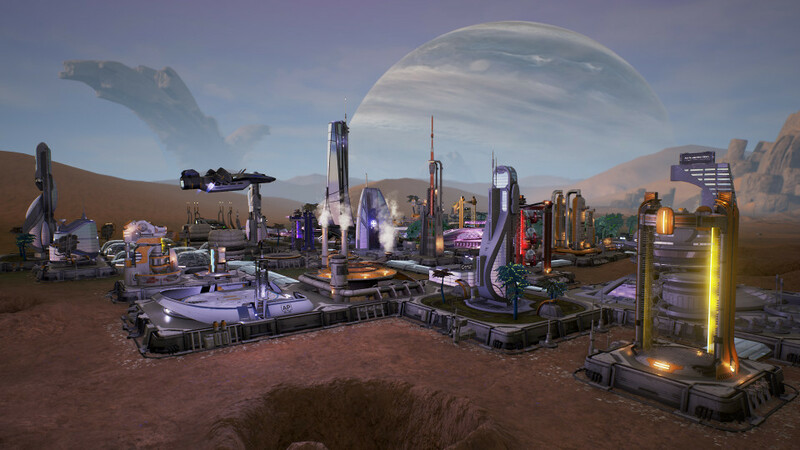 Aven Colony is a tactical city building simulation where you are the colonial governor on humanity’s first extra-solar expedition. It features a story mode where you follow a set of structured missions and learn the secrets of Aven Prime. It also has the more traditional city building mode. There are a few unique mechanics, since this is an alien planet. You need spaceports for immigrants to move into your colony and the planet has an inhospitable atmosphere so all travel is done through sealed tunnels. These do provide some amusing contradictions in the game. One example are the air intake vents that somehow alleviate inside air pollution despite being unbreathable. 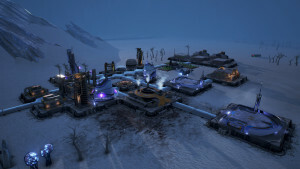 There is also a day to night cycle, where the nights are called winter and have significant impact on certain colony operations. 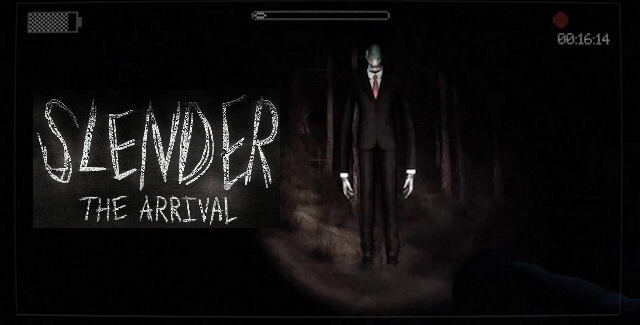 Story mode is put front and center and was the focus of my playthrough. While the story is pretty basic, and cheesy, it does provide something you don’t normally find in a city builder. Similar to an RTS, each map starts you with a few buildings, a particular challenge (weather, limited resource, crops won’t grow, etc.) and a goal. 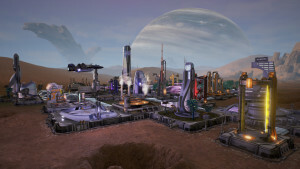 It is largely window dressing since the game boils down to resource management, namely of nanites – the universal building bricks for the colony. You create them by mining metal and converting that to nanites. Construction drones then use the nanites to build and upgrade your facilities. I had to restart one mission because I ran out of nanites. No other challenge is insurmountable. Aven continues the RTS and city builder amalgamation by including basic combat via defense turrets. You place them around your colony to ward off the two main enemies, plague and creep spores. Plague spores find an entry point to your colony, like the air intakes or geothermal generators, and then spread down the walkways until they find a colonist to infect. Creep is a fungal like building destroying infestation that can spread form building to building. Both can be dealt with after they infect the colony, but ideally the defense cannons will destroy them before it gets that far. The final major game mechanic is the Expedition. 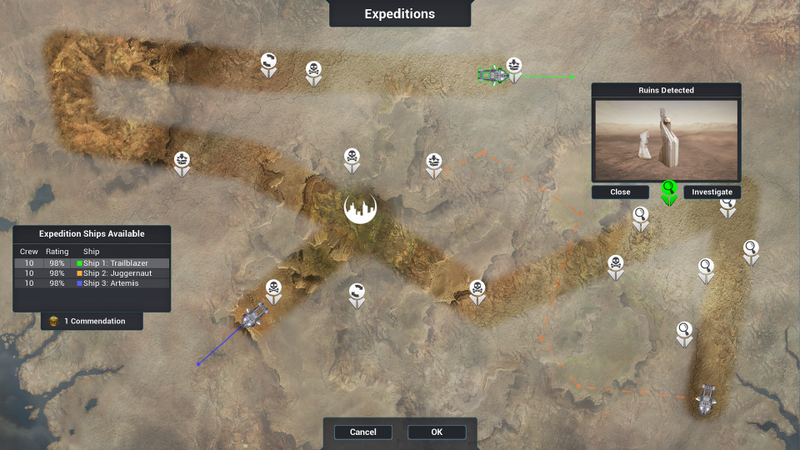 The Expedition Centers unlock after a few missions, and allow you to explore the area surrounding the colony. Each Center has a ship that is used on a map covered in fog of war. You will start with some point of interest on the map, and uncover more as you go. Sometimes you are rescuing a lost colonist, sometimes destroying creep plants and other times negotiating with or fighting rouge colonists. Ships, like buildings, can be attacked or infected and the crew members may die. Any time an adverse action happens, the ship automatically returns home and undergoes cleansing or repair. This was actually pretty fun and broke up the colony management nicely. Aven Colony looks very good on the PS4. There is a wide range and great use of color and the buildings carry a nice amount of detail for the distance you will normally be viewing them from. Unfortunately, the game suffers from fairly considerable performance impacts once you get an even moderately sized colony built. In the missions where you end up with a larger colony (by AC standards, I never felt I had that big of a colony compared to other city builders), I experienced several crashes. Fortunately the game’s autosave is pretty aggressive and I never lost more than a couple minutes of work. 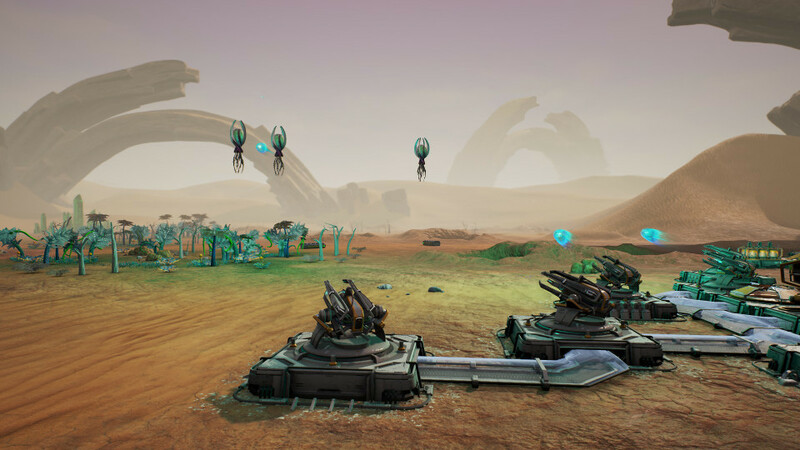 While a passable take on the sim\rts hybrid genre, the game fails to ever feel truly fun. It has the never ending complaints of your populace and vague stats that don’t really let you know what you can do to alleviate issues you are alerted to, mixed with performance issues and limitations in some features that don’t make sense. It is also hindered by an almost endless, constant stream of alerts being beeping at you…some important, some pointless. 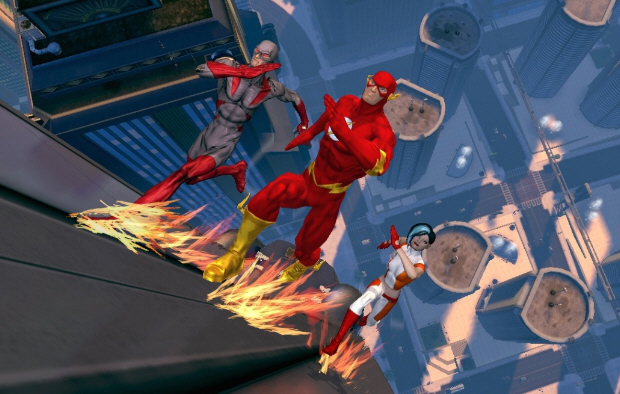 The story helps mitigate these issues, but it’s not able to elevate the overall experience. Add to this some odd user experience choices, like making you select “New Game” for every level (I spent a long time trying to figure out what bug I was encountering because I couldn’t continue from mission one to two) results in a mildly entertaining but subpar experience. 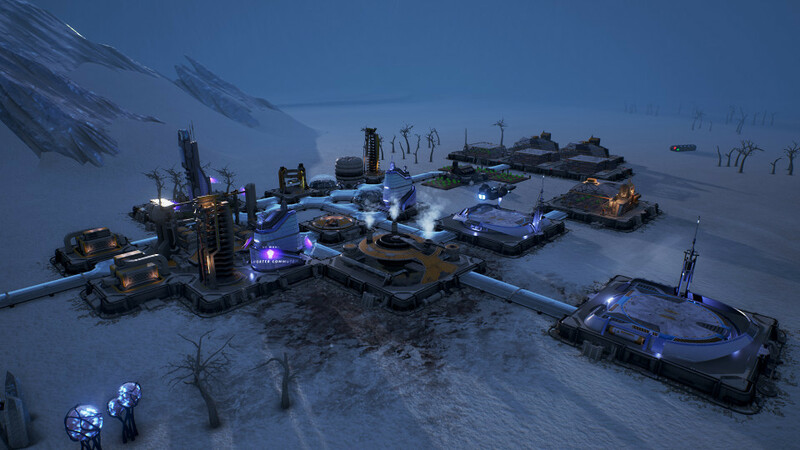 I give Aven Colony 6/10 nanite production facilities.